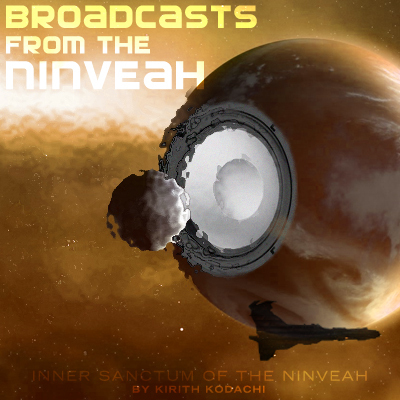 Inner Sanctum of the Ninveah: Is More Always Better? The problem with having friends smarter and more eloquent than you is that they often win arguments by virtue of simply being able to voice their opinion better. I'll be left with the vague feeling I have a point to put across but completely unable to articulate it. Andrew and I have been discussing MMO server architectures a lot lately as precipitated by my post on Eve's Super Computer Server Cluster and the benefits and drawbacks thereof. Recent news about CCP's installation of a new network layer to reduce latency between the client and the server proxies have proven beneficial in reducing lag in the game and allowed more players to occupy a system concurrently. In our discussions he brings up very valid points including this one: a large mainstream MMO development studio is not going to aim for 250,000 subscribers anymore, they are going to want more to payback their investment. Warhammer Age of Reckoning is reporting 500,000 subscribers off of their launch (and much to Andrew's dismay I'm sure, the reviews are coming back positive) and that is a starting point for them. I'm sure their corporate heads are thinking 7 figures for subscriber numbers within a year. It brings up the question can a single server architecture handle an MMO population twice that of Eve? I think that right now the answer is unfortuately no. I have my reasons. 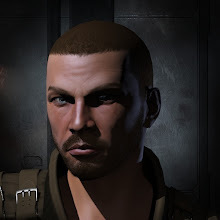 First of all, while CCP is making great strides to allowing more and more pilots interact in combat and such, it is still at a point where enough players in a grid can crash it. The basic maxim holds: give them an inch, they'll take a mile. 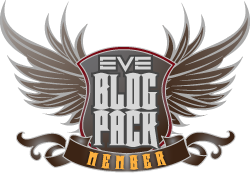 In Eve speak, give them 200 vs 200 battles with minimal latency, they'll bring 400 pilots each. While these "node crashes" are rare now, it speaks volumes of what would happen should the server population double. The number of pilots would not double evenly across all space, but rather the concentrations of pilots would experience the greater growth while relatively empty space would remain relatively empty. The good news is that I think the future holds promise. The ground-breaking work CCP is doing with the Eve cluster shows that the concept is feasible and the advantages to having all players in one playspace will eventually outweigh the infrastructure development and support costs. Of course, multi-server implementations will rule the day for the foreseeable future because they are cheaper, allow for greater control of player concentrations, and are a proven and known technology. And most of all, allow for unlimited growth. Awww - you left out our meander into the "Hollywoodization" of MMOs. That was a good tangent. Player density is clearly the limiting factor in all of this, the more I think of it. Even if you can smooth out the latency for an obscene number of players in a single area (hosted by one or more computers), there is an upper limit on how many players that it is actually desirable to have there. a) Depopulated of all NPCs available to kill (assuming that it is a combat zone). b) Too busy for one mind to comprehend; i.e. there are simply too many players going too many different places all at once. The clutter leads to paralysis. Now, the solution to this APPEARS TO BE to build a bigger game world (not cheap!) - but even then it seems that in any game there are always a few focal points, and the bigger the server population, the more cluttered these focal points are. You could create more focal points (or reasons to not stay in the existing focal point) and temporarily patch the issue - but that comes back around to scaling.